What are SQL injections and how can you prevent such attacks? The danger of SQL injections has been known for 14 years. And yet, such attacks are still one of the greatest dangers to dynamic websites, which can cause serious damage, including the destruction of the data in your database. But what exactly are they? And how can you prevent them? 1. What is an SQL injection? On the modern web, you can find lots of dynamic sites, which are generated on the fly. A scripting language such as PHP retrieves content from a database and puts it together based on instructions or statements. Such instructions contain the code written by the developer, as well as the data the visitor enters via a web form, e. g. when he enters his login and password. If a developer is not careful enough when writing his statements, ill-intentioned people will have the opportunity to slip malicious code into the data they enter, allowing them to execute other instructions. In short, hackers use certain characters or formulas in the input field of a form, as a result of which their input is no longer seen as a simple string, but rather as a function. — (double dash) is used to tell the SQL parser that the rest of the row is a comment and should not be executed. You can certainly imagine what hackers may do using these characters! 2. What are the dangers of an SQL injection? As previously stated, an SQL injection is an attack in which extra code is added to the input. If no precautions are taken in the script to anticipate such situations, the code will be executed, leading to dangerous situations. 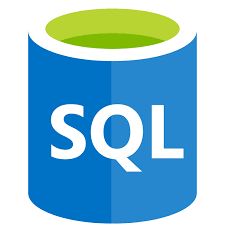 Write files to the database server. The consequence of this is that, although the initial purpose was to show a single row (that of the UserID entered as the input), ALL rows are now shown, because the OR condition is always true (1=1). And when the Users table does not only contain user names but also passwords, you are in big trouble! 3. How can you protect yourself from an SQL injection? For further information, please read data type casting, prepared statements and W3Schools about SQL injections. By the way, did you know that picking Combell as your hosting provider allows you to benefit from the best security on the market? You can easily enable SQL injection protection with a single click in your control panel. Go to my.combell.com and click the “web filters” tab in the “site settings”. Combell’s protection, however, does not stop there! Combell even offers automatic patching that also protects your CMS hosting (WordPress, Magento, Joomla and Drupal) from newly discovered vulnerabilities.